Though a Sonnen vs Silva rematch is not yet coming into fruition, the former has already planned his fights in the horizon. After Silva, he wants GSP or Shogun. And that is something that he made clear. Assuming the Chael Sonnen snatches the belt from Anderson Silva in their upcoming rematch early next year, Sonnen has his sight set on another UFC Champion. Without hesitation, the fighter from Oregon is keen to beat George St. Pierre or Mauricio “Shogun” Rua. But as of the moment, GSP is awaiting for his December 11 fight against Josh Koscheck, while Rua is still recuperating from injuries. Albeit GSP has never backed down from a challenge, he also has nothing to say about Sonnen who is outside his weight category of 170 pounds. But with Chael Sonnen still swinging his verbal hammer, he will be happy if someone will pass all his comments to the current UFC welterweight kingpin. If GSP did something to get the nerve in Sonnen, that remains vague. Still, it seems that he has issues with the champion and wants to settle it in the Octagon. And as far weight classes are concern, Sonnen is willing to meet in the middle. As for Rua, he doesn’t have any issues moving up from 185 pounds to 205. 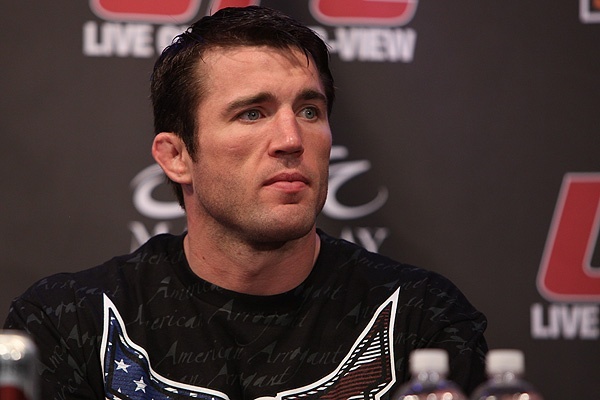 But first things first: Chael Sonnen has to knock Anderson Silva down first.